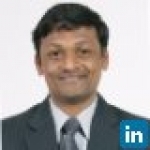 - Looking for associates with LMS selling experience in India and abroad. - Identify relevant contacts at a target organisation and to establish first contact. - Understanding Client Business, Requirements, Need Generation. - Participate in pricing the solution for self. - Negotiation, Closure and Contracting - through appropriately handling client queries and closing the contracts. - Forecast sales targets and ensure they are met by self. - Identify opportunities for campaigns, services that will lead to an increase in sales. - Study the market and competitors; identify and develop the company's unique selling propositions and differentiators. - Study various global markets and execute the planned outreach campaigns. This would also entail working in different shifts as per the requirement of the campaign. - Track and record activity on various prospects submit daily/weekly progress reports and ensure data is accurate. - Maintain and adhere to internal processes/systems at the organization.